The Trump Administration — backed by federal court rulings — has acquired five waivers of environmental review to construction border fencing, sighting a 2005 law that allows such action if its deemed in the "national security interest." SAN YSIDRO, Calif. (KGTV) — Department of Homeland Security Secretary Kirstjen Nielsen Friday moved to waive environmental laws in order to speed up construction of secondary border fencing along San Diego's border with Mexico. The federal order waives environmental regulations to allow for expedited construction of about 14 miles of secondary fencing, starting at the Pacific Ocean and extending east to Otay Mountain, to "Border Monument 251." "In order to satisfy the need for additional border infrastructure in the San Diego Sector, DHS will take action to construct barriers and roads," the order said. Nielsen's order claimed San Diego is a "high illegal entry" sector, noting agents apprehended more than 38,000 undocumented immigrants, 8,700 pounds of marijuana, and 1,800 pounds of cocaine in the San Diego Sector in fiscal year 2018. However, the secretary did not say whether those numbers pertained to illegal border crossings or Port of Entry apprehensions. Construction is set to begin this month, with construction contracts already awarded. 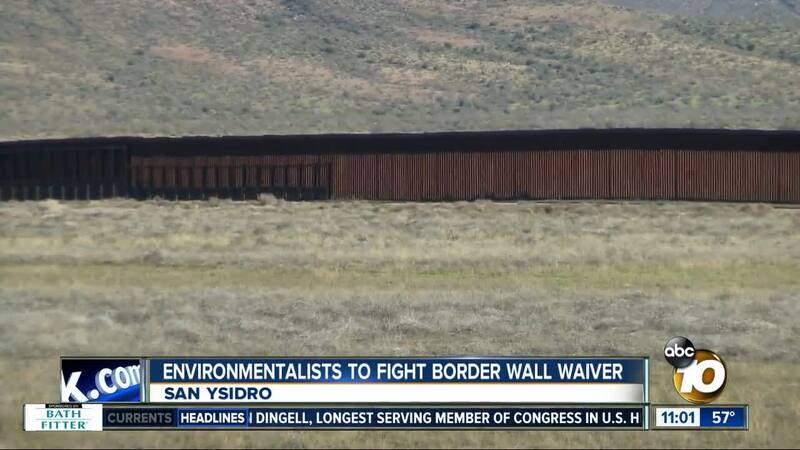 One environmental group said it's unconstitutional to waive environmental concerns in the name of speeding up construction on the wall. "We believe this waiver of law if fundamentally unconstitutional and there's no justification for waiving environmental public health laws," Laiken Jordahl, a campaigner with the Center for Biological Diversity, said. Jordahl added construction of more border wall only means more harm to migrating animals and destruction of natural habitat. The Center for Biological Diversity said they already have two similar cases pending New Mexico and Texas, and they're currently weighing their options in this case.